I whipped up these simple Christmas ornaments as gifts for my friends and family. I had the grand idea that we would harvest local acorn caps to use, but they ended up being too small for the bells I found at Joann. Find acorn caps to order on ebay since our local caps were too small. 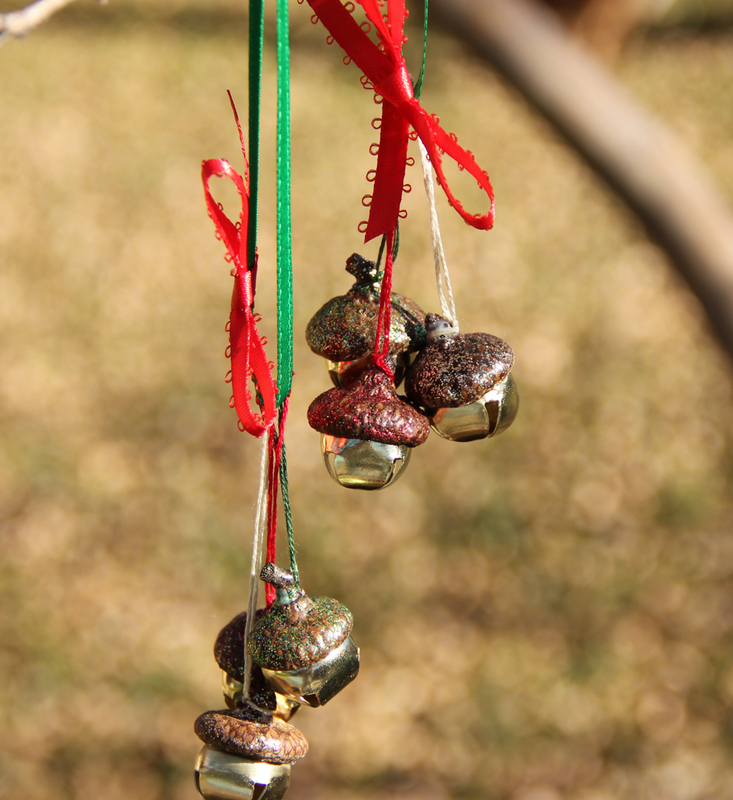 Paint the acorn caps with gold, green, and red glitter paint. After they dry, glue the bells into the acorn caps. I found hot glue to be the easiest to work with, but reinforced it with some Elmer’s in the gap around the bell, if it existed. After that round of glue dries, attach matching embroidery thread to the stem by tying it and then add a bit of glue for security. Once that dries, tie the thread onto a loop of ribbon. 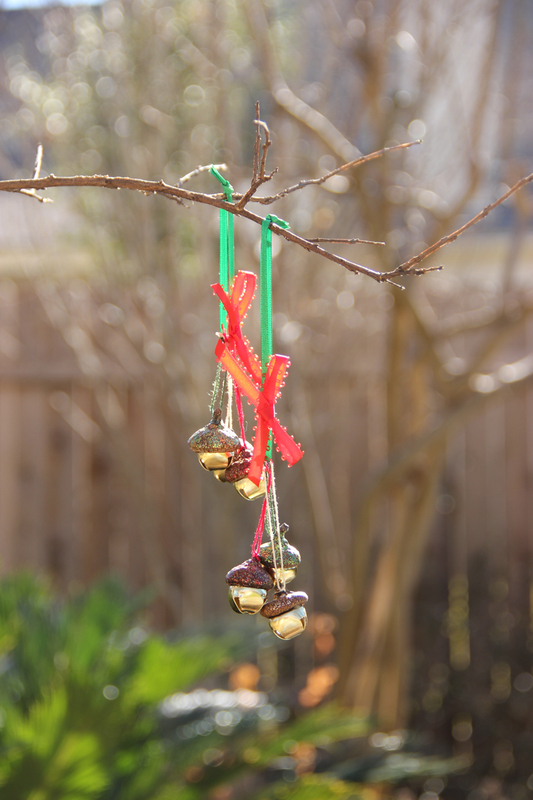 I varied the length of thread so that the bells would hang at different lengths. Optional – add a small coordinating bow to the ribbon loop.